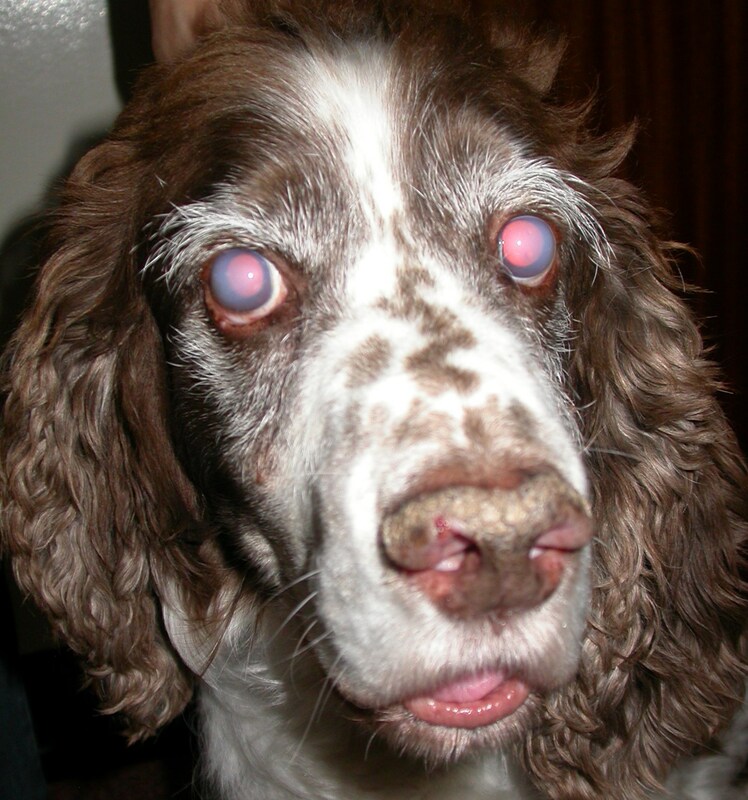 This eye belongs to a English Springer Spaniel which has some visual disturbance but isn’t blind. But it does have a hazy cornea and the owner, having read up on the internet is worried her dog has glaucoma. Is this the case and if not what could the diagnosis be? The key feature of the case if that the conjunctiva and sclera are white and not red with episcleral vessel congenstion. That means it is very unlikely to be glaucoma – indeed the intraocular pressures are 8 and 9mmHg. The pupil too is neither widely dilated (as it would be in glaucoma) or constricted (as in uveitis). 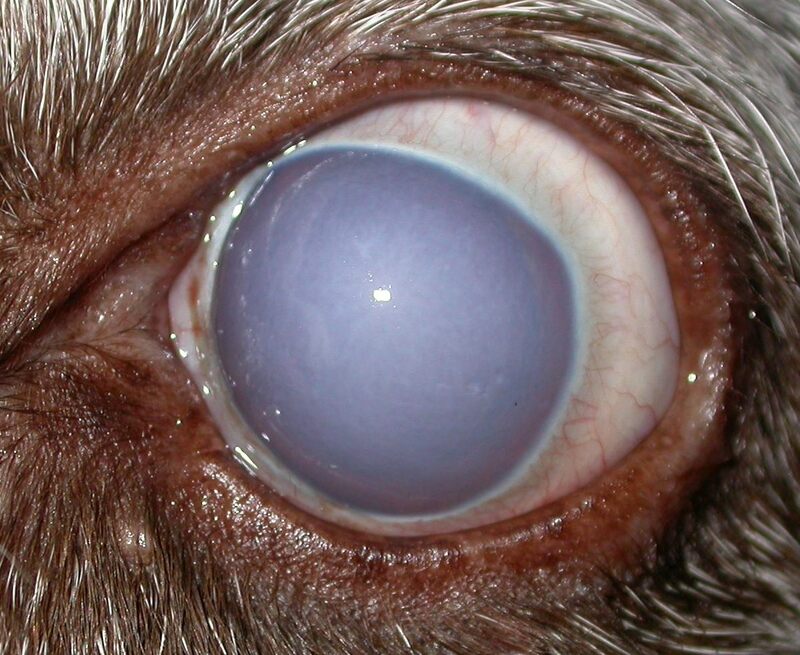 In fact this is most likely to be endothelial degeneration, commonly seen in older animals of this breed, where there is corneal oedema which somewhat reduces visual acuity but not glaucoma which is blinding and painful. This entry was posted in Cases and tagged corneal oedema, dog, endothelial degeneration, glaucoma. Bookmark the permalink.